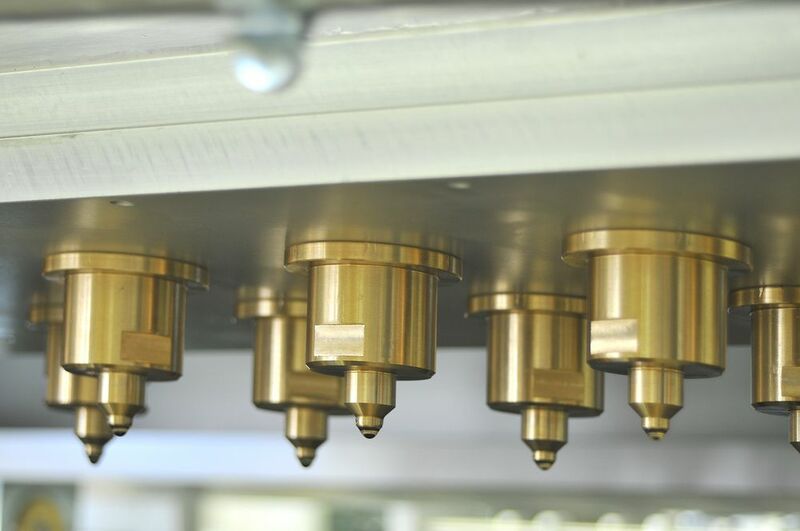 On a single machine, Laser offers an optimal solution for the production of biscuits filled with jam or cream, having different sizes and weights (coextruded biscuits). The strong structure is built in anodized aluminium and stainless steel, and is equipped with motors controlled by an inverter in order to have a wider range of possible adjustments. Product positioning on the baking-pan is precise thanks to the mechanical cam synchronized with the movement of the cutting diaphragms. The entire filling path, from the hopper to the mixer and all the guards that cover the machine are built in stainless steel. The machine production speed ranges from 20 to 60 strokes per minute, according to the type of extruded product.